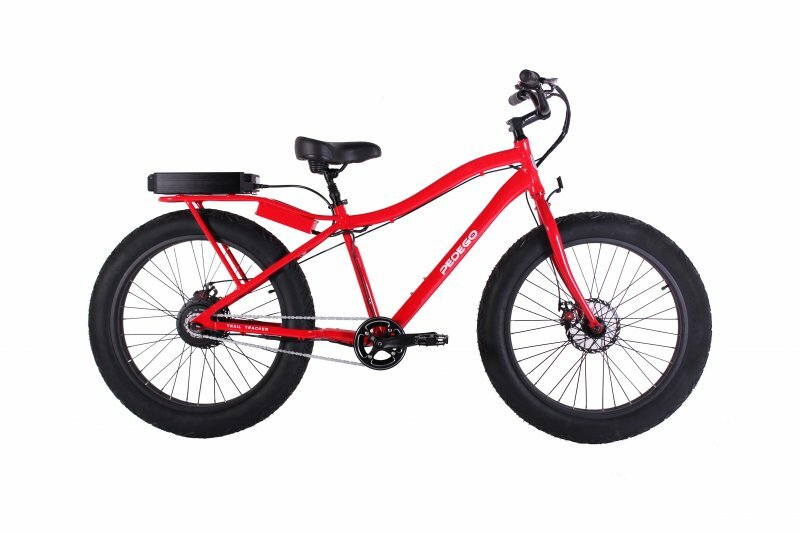 The fat tire mountain bikes have been popular in the conventional bike world but adding electric assist really makes these bikes a lot of fun to ride! If you’re looking for a bike they can handle any kind of terrain and will get you a lot of looks around town then you should definitely check out the new “fat” electric bikes! Pedego Trail Tracker: The Trail Tracker has an aluminum frame, 500 watts of power from the rear hub, a 48 volt lithium-ion battery pack, and 4 inch wide tires. The Trail Tracker retails for $2,995. Defiant Bicycles: these fat tire e-bikes have an aluminum frame, the Bionx electric bike system and 4.7 inch wide “Big Fat Larry” tires! Defiant Bicycles offers a number of different fat e-bike models. The Defiant fat e-bikes start at $3,950. Lectric Cycles: the “Fat E-Monster” has a steel frame, either a 500 watt or a 750 watt geared front hub motor, a lithium ion battery, internally geared rear hub, and 4.8 inch wide tires! Lectric Cycles fat e-bikes start at $1,995. ProdecoTech Rebel X: The Rebel X is a new bike to the ProdecoTech e-bike line up and it will be available in Summer of 2014. The Rebel X will feature an aluminum frame, 750 watt rear hub motor, 48V 12ah lithium battery in a water bottle style frame mount, Avid DB hydraulic disc brakes, Truvativ cranks, a single speed setup, and more for a retail price of $1,999. Surface 604 Element: Here is a new fat e-bike with an aluminum frame, 350 watt rear hub motor, 36V 10ah lithium battery, 7 speed Shimano drivetrain, and mechanical disc brakes for $1,999. 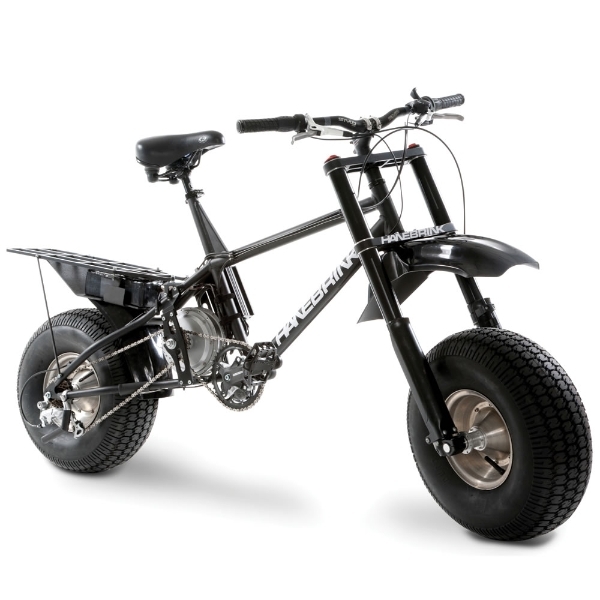 EcoSpeed Fatback: The Fatback is a “Made in the USA” fat e-bike that uses the powerful 750 watt (1300 watt in off-road mode) mid drive kit from EcoSpeed with the battery housed in the front triangle of the frame. The Fatback starts at $8,595. Hanebrink: these are some of the original truly fat tire bikes. They have 20 inch diameter by 8 inch wide tubeless tires! 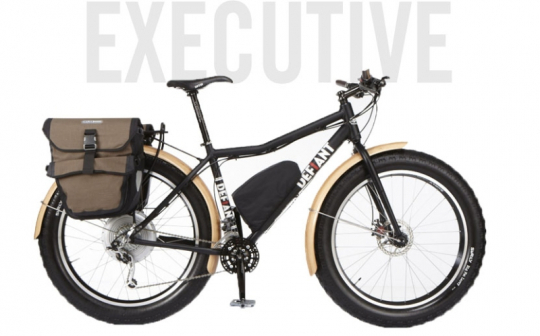 They offer both a hardtail with front suspension as well as a full suspension e-fat tire bike. The Hanebrink e-bikes start at $7,650. 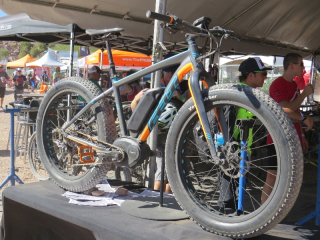 Felt Bicycles: Felt introduced this concept fat electric bike with the Bosch electric bike system at Interbike 2013 and it sounds like it will make it to production. The price is unknown at this point. 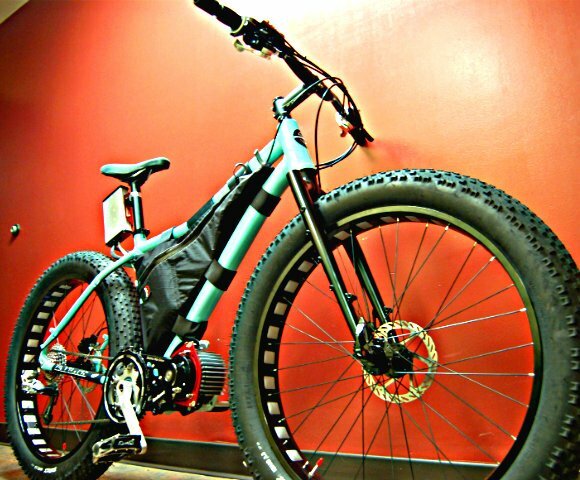 Fat Tire Bikes That Could Be Electrified! Here are some of the popular fat bikes that you could add an electric bike kit to. Surly: these are some of the original mass-produced fat tire mountain bikes. Surly makes a couple different models (Moonlander, Pugsley, Neck Romancer Pug, Krampus) to choose from and you can buy just the frame if you want to. 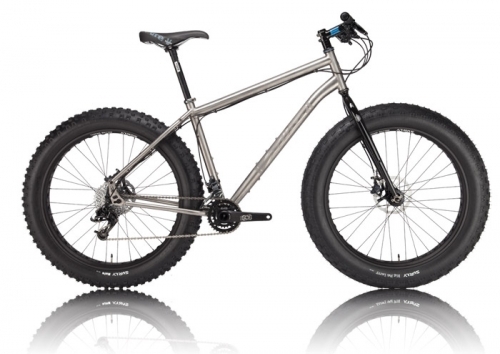 Salsa Cycles: offers their Mukluk series of fat bikes. They even have a titanium frame Mukluk! 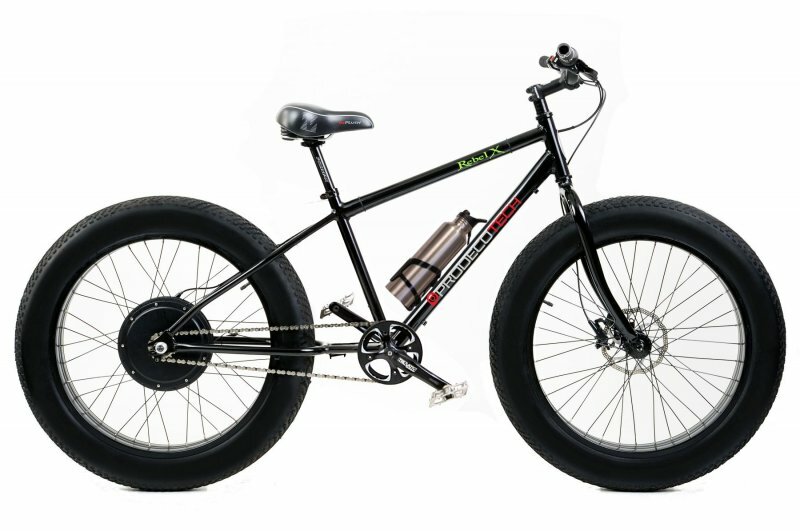 And new for 2013 is their Beargrease fat bike which is designed for snow racing! 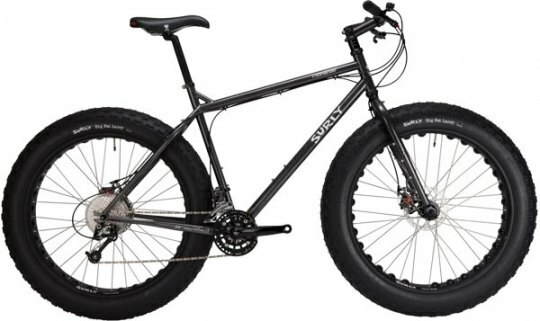 For more information on fat bikes I recommend Fat-Bike.com. They have a listing of a bunch of different manufacturers of fat bikes as well as fat bike news and information. This is a growing niche in the electric bike world. 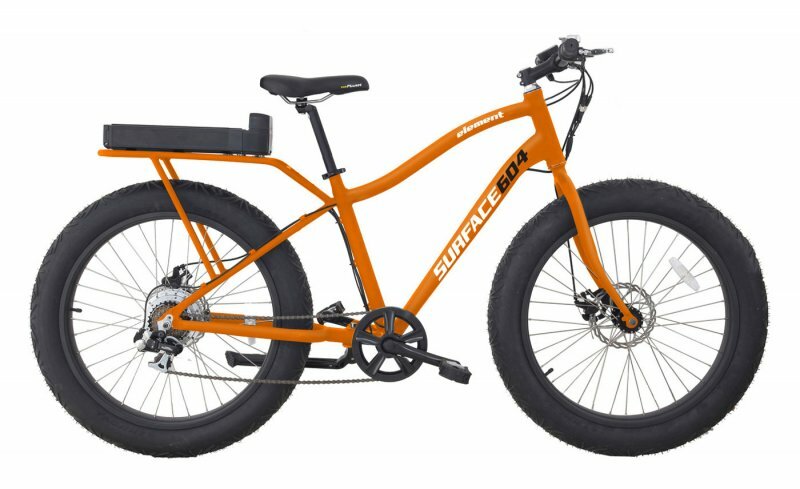 I will be adding more to this guide as I come across more “fat” electric bikes! Just wondered if there are any solid tyres on the market for my 26 inch electric bike? Bell makes solid rubber tubes for several size wheels. BUT they are terrible. They are heavy. If the tire is on the high end of the capacity the tube is suppose to fit you will feel that you are riding on flat tires. If the tire is on the low end of the tube capacity the Bell tube is suppose to fit you can NOT use a tire with a strong bead because it will be impossible to get the tire on the rim over the solid tube. If you want to waste your money (like I did) to experiment with the Bell solid tubes make sure you have very cheap and very flexible lower capacity tires that might fit over the solid tube and on the rim. I just bought a Salsa Beargrease X9, the new carbon 2014. I would like to put a electric support to this, and it need to be a pedal assist system. Does any of you guys have a suggestion? Here is a guide to electric bike kits. 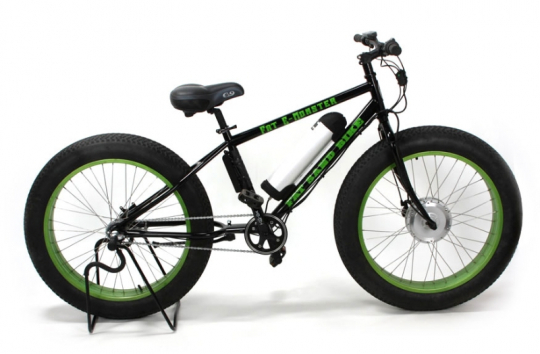 The nice electri fat tire bike . Here is mine with the 3kw or 5kw on the fat tire bike . I bought a “Big ‘oL Fatbike” from Nashbar last fall, and I love the thing. It cost only about a thousand bucks. It was an arduous task to ride my bicycle across the dry lake bed where I live (Lake Isabella, CA), due to soft sand and soft mud in parts, but the bike handled remarkably well. Riding on the road was only slightly slower than my other mountain bike. I emailed Falco electric motors and their president promised that he has a hubmotor kit for the rear wheel that had a 170 mm axle width. That’ll be my next big ticket purchase for this year!! 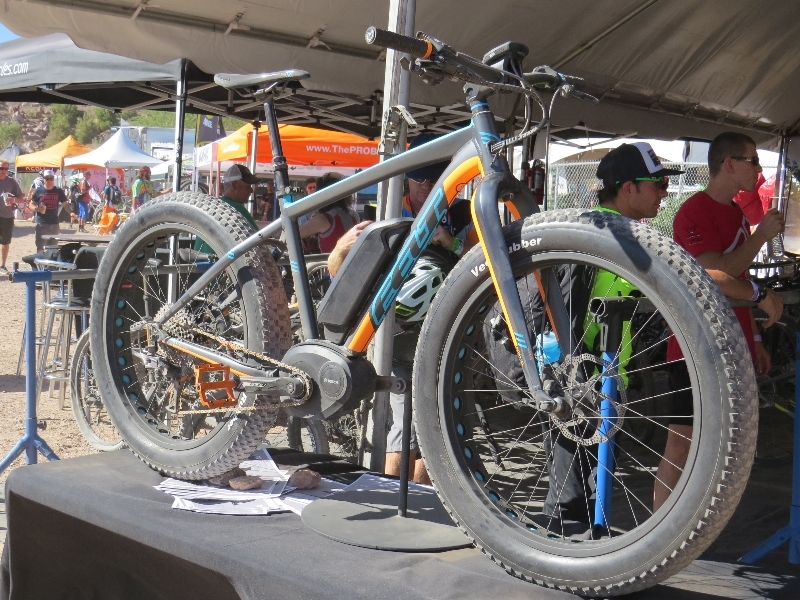 Thanks for including our Element bike in your review – wanted to let you know about our new 2016 Boar model fat ebike. We’re super stoked with it. I’ve sent you an email with the press release, details on our #winmeafatEbike photo contest and our 15% off promotion.